Bowties are cool! 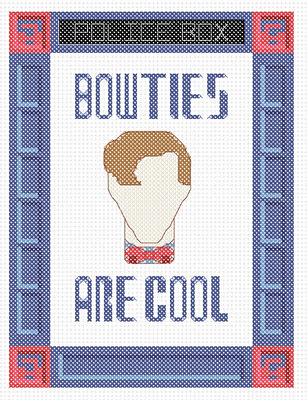 It's a bit of a Dr. Who cross stitch marathon around here lately. It features the fantastic Mr. Smith as the Dr. and his famous fashion accessory. It is available on Craftsy as a PDF. Who is your favourite Dr.? Share in the comments! Who is your favourtie Who villain? Why should it be all about the hero! ?